The autumn season in Rocky Mountain National Park is one of the most spectacular times of year to visit. Stunning vistas and hillsides of golden aspens make for postcard like scenes around each corner. Even with the stunning grand vistas, some of fall's most beautiful scenes and colors can be found right at your feet if you take a moment to stop and look. 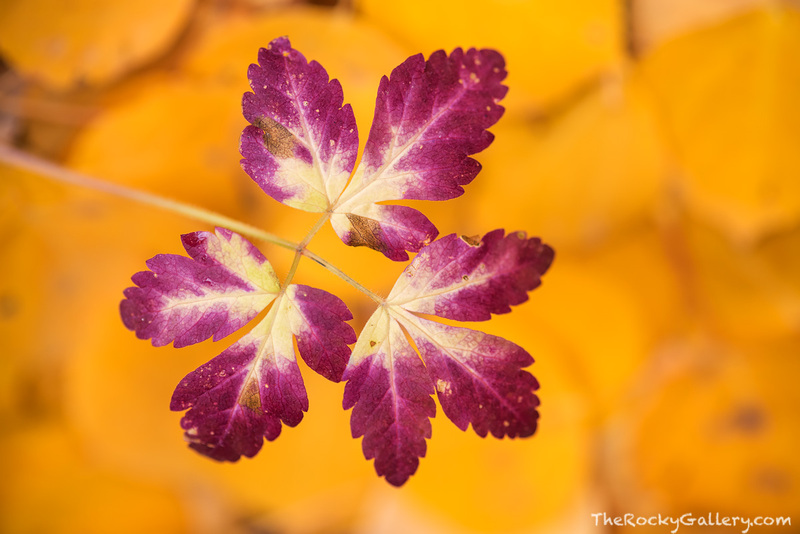 While the ground near Boulder Brook was covered with beautiful yellow aspen leaves that had fallen from the forest canopy, this small plant on the forest floor chimed in with its own autumn color palette. Photo © copyright by Thomas Mangan.